The original version of this post was written as a Guest Blog for CrossFit Hoboken. With the rise of CrossFit came the need for self-care, mobility and stability. 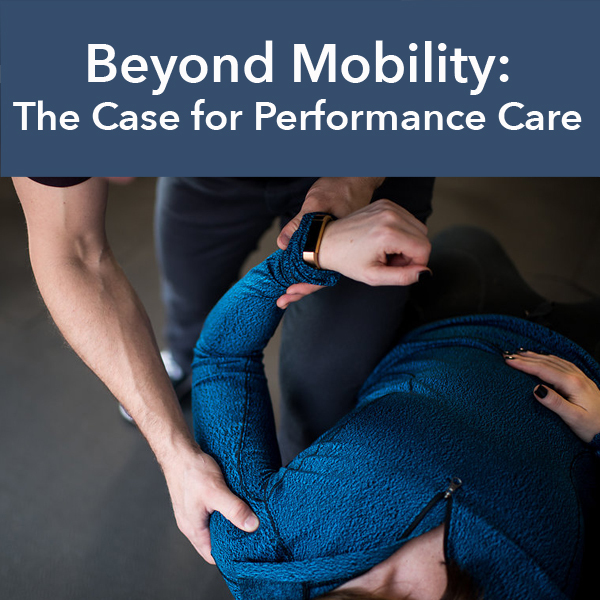 Enter folks and resources like Dr. Kelly Starrett’s MobilityWod and Supple Leopard as well as flocks of Massage Therapists, Physical Therapists and Chiropractors offering their services to these athletes. I completely value and support people who want to help themselves. This is one of the reasons I launched a video project called The 2 Minute Fix (free) and The Full Body Fix (premium). These instructional videos help people solve common movement problems from a mobility & stability standpoint. But self-care can has its limitations. Stretching, mobility and soft tissue work are great if there is a true soft tissue restriction. Soft tissue damage can create adhesions and scar tissue – essentially unhealthy tissue nestled amongst healthy tissue. These adhesions can limit movement and impair healing. This is one of the reasons I have trained and specialized in Active Release Technique (ART) over the past 10 years. ART is the gold standard in manual soft tissue care. It’s specifically designed to quickly and effectively isolate and remove soft tissue adhesions. Let me use a common example. Many people feel like their hamstrings are chronically “tight” so they stretch, foam roll, or get a massage, yet the problem persists. The common misconception is that if a muscle is tight, it must need to be stretched. But when I see this scenario in my patients, I see a body that is trying to stabilize the area by up-regulating neuromotor tone. Translation – your body is keeping it “tight” for a reason! The key to unlocking this sort of chronic muscular tension is to identify the root cause of the problem. The underlying WHY! Why is the body keeping this muscle ‘tight’? I’d like to finish with a testimonial to illustrate the point. Recently I had a 35-year-old male athlete come to my practice with shoulder pain. Over 4 months the pain was progressively getting worse. He had tried self-mobility, massage, and PT with little success. The problem is that most providers and techniques simply chase pain. The pain was at the top of his shoulder so that’s where care had been focused. But when I did my assessment I found the root cause of the problem to be a neurologically inhibited subscapularis muscle, which is literally under the shoulder blade. I see this often in athletes that perform a lot of heavy overhead bar work. In just a few visits under my care he was at 90% improvement and quickly returned to full activity with no pain, even hitting a new overhead squat PR the week following care. Mobility can be helpful to improve movement restrictions, but there is often more to the story. To truly move and perform properly we can’t neglect neuromotor control and stability. If you’ve got an injury lasting longer than 2 weeks, I’d encourage you seek the help of someone who understands root cause analysis and has the means to correct the problem. I’d love the opportunity to be that solution for those of you here in San Francisco.